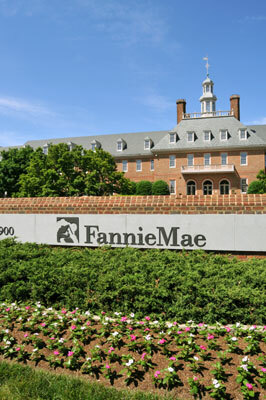 The Fannie Mae expanded approval home loan is one of those loans that your banker does not want you to know about. It’s a mortgage product offered by Fannie Mae and Freddie Mac that saves the borrower a lot of money, but doesn’t make as much money for the home loan provider. Offering this loan is up to the lender. Most don’t offer it due to risk and lower profits. The problem for the consumer is that if you don’t know about this type of loan or do not have an honest loan officer to tell you about it, you will never know it’s an option. If you have less than perfect credit, a lower income than you need, or have few assists, you still may qualify for a Fannie Mae home loan. The interest rate may be slightly higher than a conventional 30 year fixed home loan, but it is not a sub-prime loan. you may also be eligible for a reduced interest rate after making 12 to 2 on time payments, depending on the lender and their agreement with Fannie Mae. Fannie Mae has loan levels 1, 2, and 3, which reflect your ability to repay the loan. The levels are based on your credit score, amount of cash reserves, loan to value ratio (LTV), debt ratio, type of employment, property type other than a single family detached home, secondary financing, and any foreclosure or bankruptcy. The higher the loan level, the higher your interest rate and cost of the loan.